Follow Franklin Parade around the waters edge at Encounter Bay. We are nestled at the base of the "Bluff", 123 Franklin Parade. Under 10 minutes drive from Victor Harbor central. Overlooking Encounter Bay Victor Harbor, on South Australia’s Fleurieu Peninsula, The Bluff Resort offers stunning ocean views within luxury accommodation. We offer 4 types of beautiful accommodation from our spacious two storey Apartments, with one, two and three bedroom configuration, Pool View Studios and Ocean View Studios. Our Suites are ideal for conference/group bookings or an inexpensive getaway. 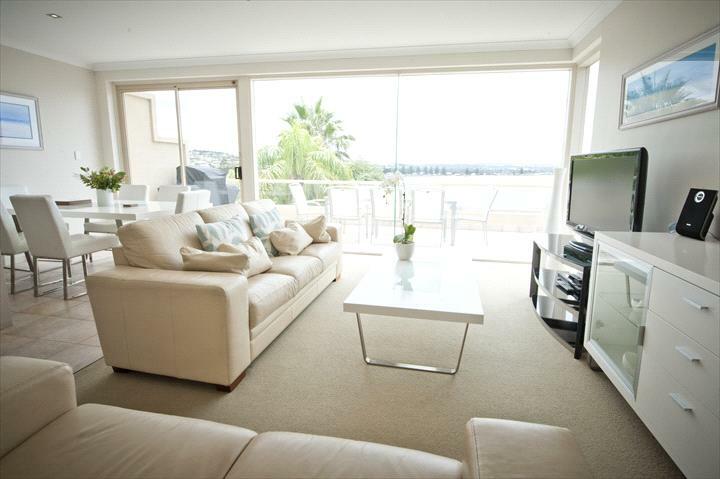 The Bluff Resort Apartments are located at 123 Franklin Parade, Encounter Bay Victor Harbor, on South Australia's Fleurieu Peninsula. We offer 4 types of beautiful accommodation from our Ocean View Studios, Ocean & Pool View Studios and 3 Bedroom Ocean View Apartments. These rooms all offer spa baths and balconies with stunning ocean views. Suites are also available. The Fleurieu offers plenty of things to do and see, like catching a ride on the Steam Ranger, be up close and personal with a koala at Urimbirra Wildlife Park, take the Horse Drawn Tramway across to Granite Island and visit the fairy penguins, and much more. The Bluff Resort Apartments offer an outdoor solar heated swimming pool free to all in house guests to use whilst staying at the accommodation venue. We also offer an outdoor BBQ area and free WIFI. 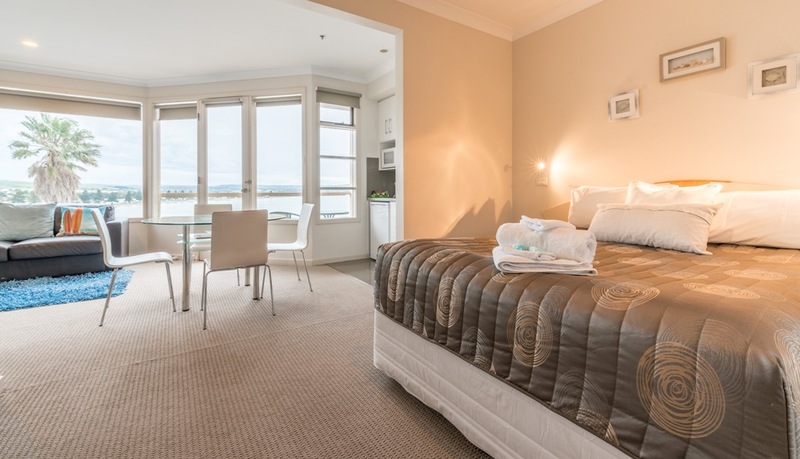 Our rooms have FREE Foxtel with a selection of channels to choose from as well as all normal TV channels.The Bluff Resort Apartments offer a 24 hour guest laundry and free parking. OCEAN AND POOL VIEW STUDIOS - Two of these rooms are easily accessed with no stairs or ramps, however still offer Pool & Ocean Views, bathroom with spa bath, separate shower, hand held shower head and a shower chair, kitchenette, open plan living area containing queen bed, lounge suite, kitchen table, flat screen TV, free Foxtel & WIFI, DVD, reverse cycle air conditioning and balcony. The lounge can be made into a double sofa bed for an additional $30 per night. We recommend either 1 adult or 2 small children for use of the sofa bed for comfort reasons. *Upon booking, please advise if requiring stair free room. OCEAN VIEW APARTMENTS Offer Ocean & Island views across Encounter Bay and beyond, 2 story apartment with open plan living and large kitchen, 3 bedrooms, 2 bathrooms both with shower/ toilet and one containing a spa bath, flat screen TV, Free Foxtel & WIFI, DVD, reverse cycle air conditioning and large front balcony with outdoor setting. Rates are based on number of bedrooms required. Doors are locked/ unlocked as necessary. 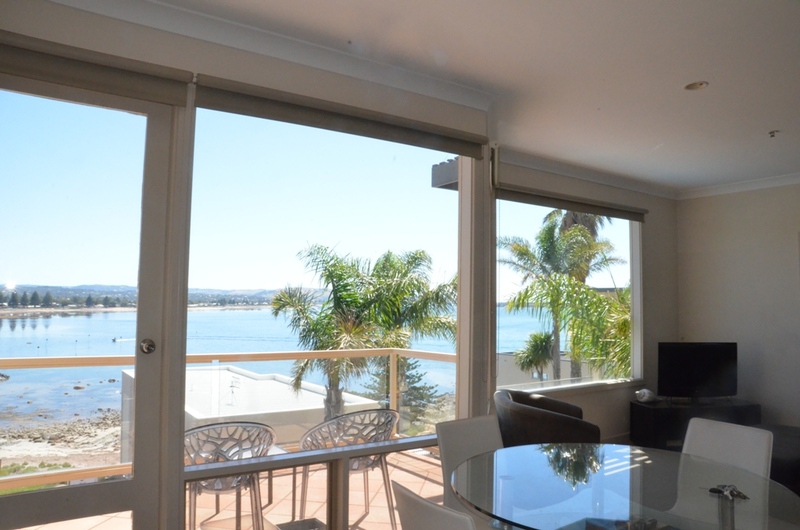 These rooms offer Ocean & Island Views across Encounter Bay and beyond, with a spa bath and separate shower, kitchenette, open plan living area containing queen bed, lounge suite, Kitchen table, flat screen TV, free Foxtel & WIFI, DVD, reverse cycle air conditioning and balcony with ocean views. The lounge can be made into a double sofa bed if required. We recommend either 1 adult or 2 small children for use of the sofa bed for comfort reasons. *Please note these rooms contain external & internal stairs. 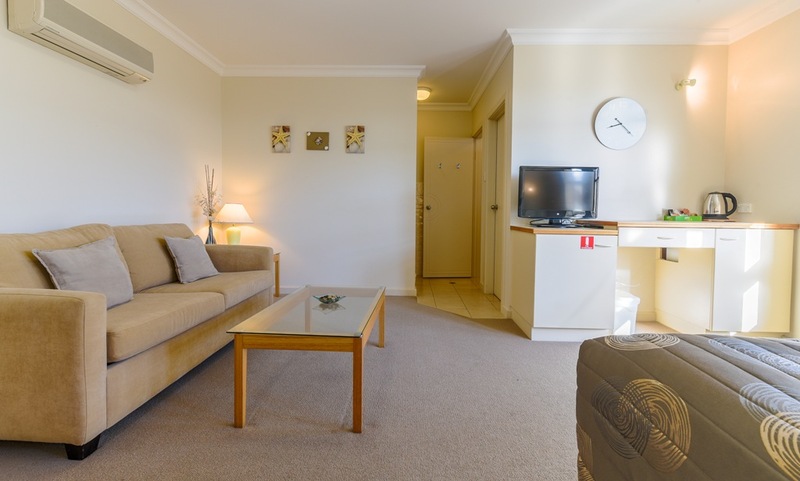 Suites offer king or queen bed, separate ensuite bathroom with shower and toilet, TV, free Foxtel & WIFI, Tea & Coffee making facilities including fridge, toaster, microwave & kettle & reverse cycle air conditioning. *Please note the Suites do not offer views, spa, cooking facilities or a balcony and have external stairs to access. Standard 48 Hour Cancellation Policy (We may retain one nights accommodation if not cancelled before this period). Cancellation Policy - Peak Season (20th December - 27th January) 4 Weeks Prior to arrival (We may retain one nights accommodation if not cancelled before this period) 2 Weeks Prior to arrival (We may retain 50% of booking value if not resold) 48 Hours Prior to arrival (We may retain 100% of booking value if not resold) A valid credit card is required on arrival in lieu of bond.